Right now is a time of sky-high political tension (pun intended). Just scroll your social feeds and it's pretty clear we're not seeing eye to eye. 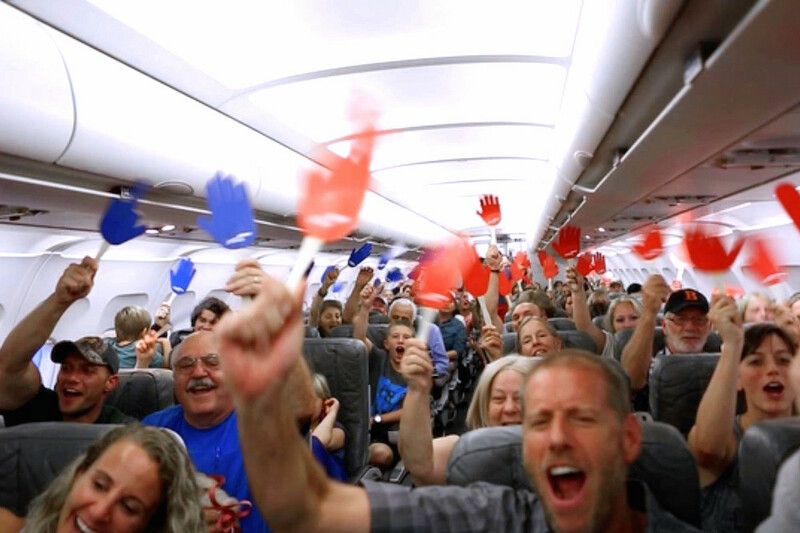 Jet Blue wanted to prove that seeing eye to eye wasn't impossible, so they deployed a clever little experiment at 30,000 feet. All 150 passengers aboard Jet Blue flight 603 were told that if every single one of them could decided, together, where they wanted to take a trip to, then they'd all get a free trip. After some initial criteria was decided, the passengers had to unanimously agree to either Costa Rica or Turks & Caicos. From there discussions, chants, and arguments stated for one or the other on the plane intercom ensued. Believe it or not, in the end, the entire plan agreed to Costa Rica, proving that if we all work together and have rational discussions, we can, in fact, see eye to eye. Now if only this would translate to the election.